own spice mix, almond paste and dough! Delicious! First of all, I thought it would be nice to do some baking instead of cooking this time. Second, I am Dutch, living in Germany, where it is very hard to get a good gevulde speculaas. Finally, I am Dutch, I love gevulde speculaas, surely I can make this myself?? Well, yes, I can, as it turned out, and it is not even all that bad, but oh my god is that messy! I probably did several things wrong, and I admit I also smuggled a bit by not making my own spice mix. I still had speculaas spices in my cupboard which I wanted to use (sorry). Except for not using my own spices, I pretty much followed Francijn’s recipe. Making the almond paste was easy (it does become better if you leave it in the refrigerator for two-three days, and making the dough was easy as well. But, I let the dough rest in the fridge for one whole day and then took it out yesterday after cooking, and then it was completely stone hard. Pffft (i could have known with this amount of butter). So first, I had to wait. Then after it softened somewhat, it turned out quite hard to roll it exactly into the shape of my form, it broke all the time. Which for the bottom was not a real problem, I just pasted it in, but, the second layer on top was really frustrating. 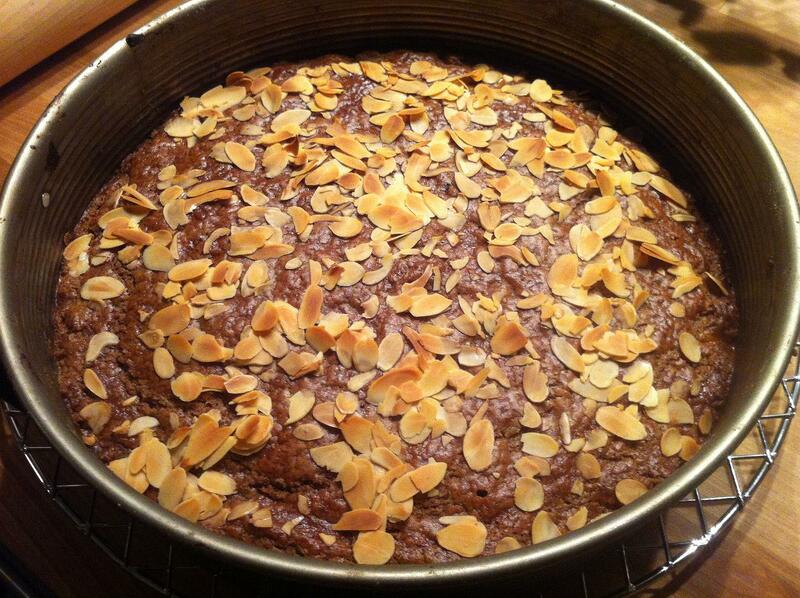 The good thing though: you can cover any mistakes with almonds, and in the oven the dough melts together again anyway. 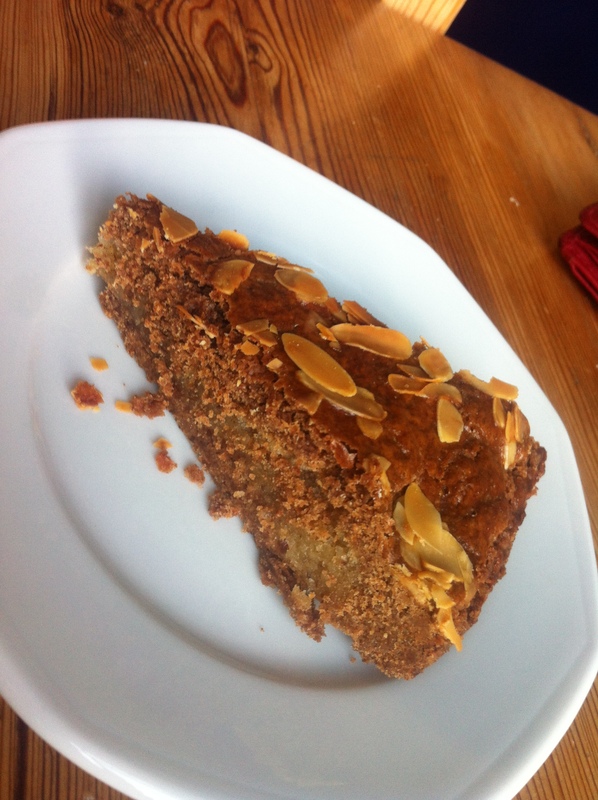 This entry was posted in ate, cooked and tagged baking, daring kitchen, gevulde speculaas on October 15, 2013 by esthercooks.